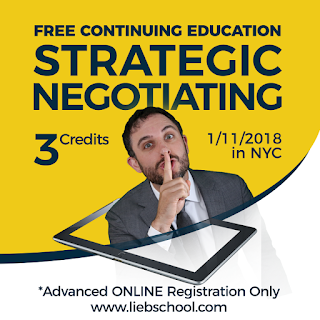 Presenting the most requested continuing education course in Lieb School’s history! Learn to change the game through tried and true negotiation tactics and strategies. This is the must take 3 credit CE course for those Seller’s Agents and Buyer’s Agents whose representation focuses on adding financial value through serving as a zealous advocate rather than simply working from one transaction to the next. 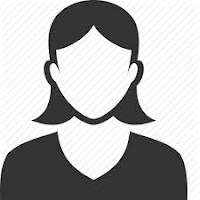 Initially, the student will learn to manage their client’s expectations by establishing and locking their client into a bottom line number. Next, the student will be exposed to the factors that make-up their narrative, both financially and emotionally. This narrative should be utilized to drive the negotiation conversation. Beyond setting the narrative, this course provides techniques to break the other side’s game by mirroring and labeling their talking points, identifying undisclosed invisible factors and, finally, driving agreements. What really sets this course apart is its focus on law. Students will finish the course with a disclaimer to avoid accidental contracts, a checklist of when a contract first exists and a list of discriminatory protected classes to avoid while negotiating. Learn to win the negotiating game.